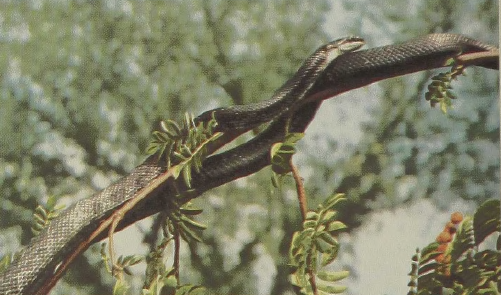 Many pictured sequences have shown cases of convergence, the phenomenon in which different animals that live in similar environments, such as branches of forest trees or holes in the ground, show similar characteristics. 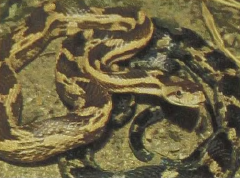 This species of Rat Snake shows the opposite tendency, as specimens taken in different parts of the United States show almost no resemblance to each other. 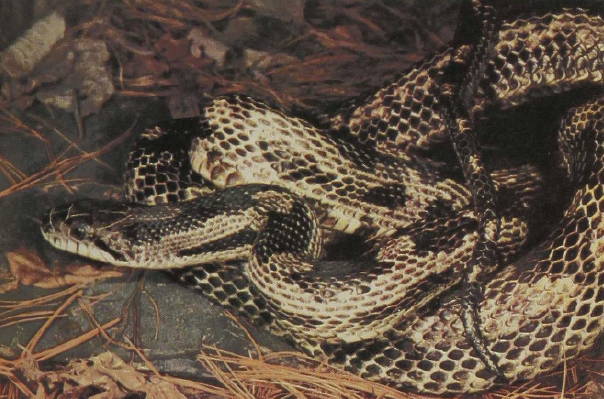 This Rat Snake, which ranges in size from 4 to 9 feet, extends widely over North America from New England south to the tip of Florida and Texas and west to Minnesota, Nebraska, Kansas, Oklahoma, and Texas. Until careful study showed that the population changed gradually, the black rat and the four-lined chicken snakes were considered to belong to different species. 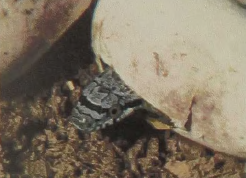 The juveniles of all of these forms resemble one another much more than do the adults: when the eggs hatch, all hatchlings have a series of dorsal blotches, and only later do they assume the adult coloration of either a yellow background with black bands or a shiny black – the result of further pigment deposition. 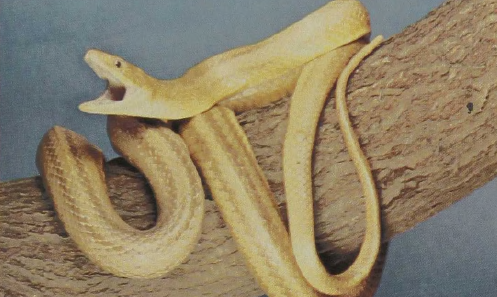 Adult Rat Snakes feed on birds and rodents and are excellent climbers, often stemming their way by concertina motion along the rough bark of trees.